Google Search is by far the best search engine that offers most accurate results to your query. It is the default search engine in most browsers and many people don’t even think of changing to any other search engine. 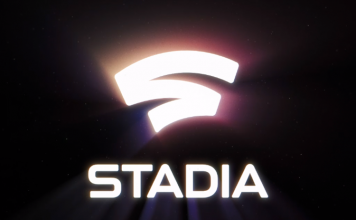 And rightly so, if a company is capable of turning its name into a verb (just “Google” it), it surely deserves to dominate. However, this doesn’t mean other search engines got nothing unique to offer. 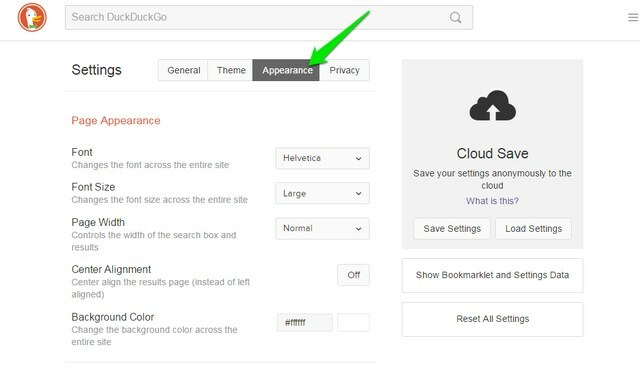 If you are looking for anonymity and may be some handy extra search features, then the emerging DuckDuckGo is a great option as well. 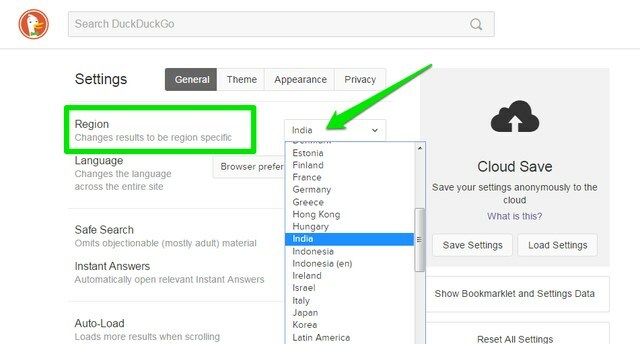 There are many features of DuckDuckGo that Google Search doesn’t offer, and many of them are worth ditching Google Search for DuckDuckGo. If you are a little creeped out by Google’s continuous monitoring of your search activity, then you should try out DuckDuckGo. 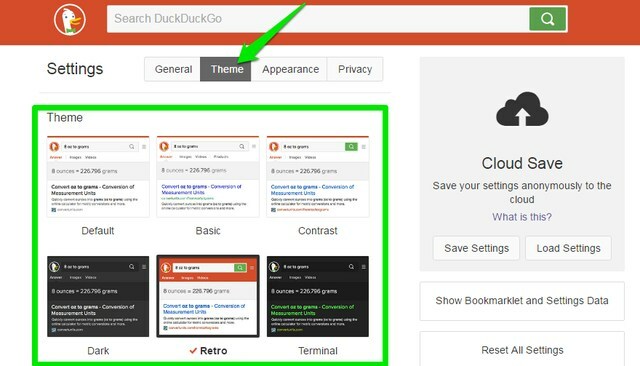 To help you with this switch, we have listed 15 reasons why DuckDuckGo is worth a try. 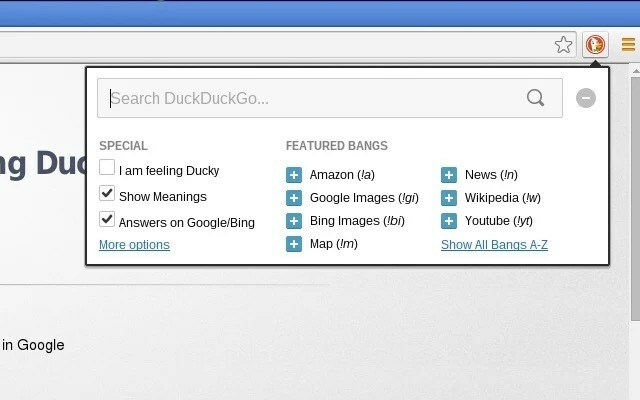 As the DuckDuckGo’s slogan says, DDG never tracks your searches and offers complete anonymous search. 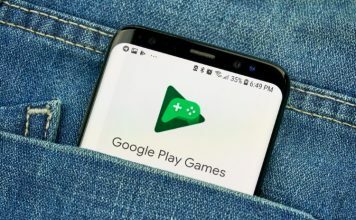 This is something you will not find on Google search as it offers personalized search by tracking your searches and even activity on other Google services. This is a deal breaker for many privacy conscious people who don’t want all the secrets of their life in hands of a third-party company. DuckDuckGo provides anonymity by not having a user account, not tracking IP address and not saving cookies and search history. 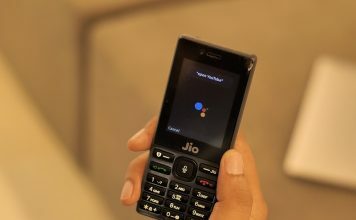 Additionally, it even tries its best to keep all your searches encrypted with “HTTPS” to ensure even the Internet service providers are unable to track you. Of course, you can always turn on search tracking from DDG Privacy options to get personalized results. Just go to DDG main menu on the top right corner and select “Advanced settings” from it. Now move to the “Privacy” tab and you will see options to manage Redirect, Encryption and Video playback, etc. One of the most notable and loved feature of DDG, !Bangs. Simply put, it allows you to directly search anything on a desired website right from the DDG search field, while saving you few extra clicks. 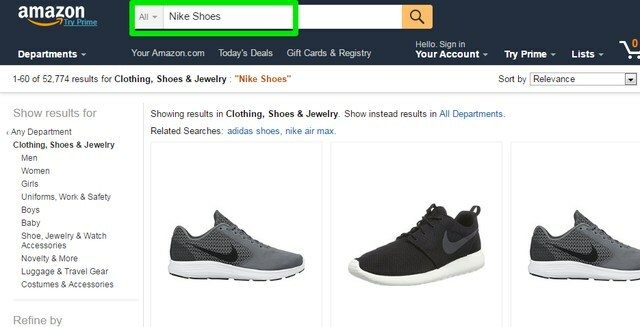 For example, searching for “!Amazon Nike shoes” on DDG will search for “Nike shoes” directly in Amazon.com search. It doesn’t support all of the websites, but as of writing, it supports over 8,093 websites (including all popular ones). If you don’t find your preferred website in the list, then you can also submit it to be added. Furthermore, all !bangs have shortened commands to make it easier to search a specific website, like !a for Amazon.com, !w for Wikipedia and !r for Reddit. 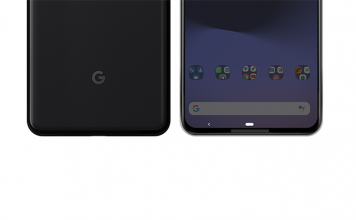 The best part is that it has a !bang for Google Search as well, just type “!g (your query)” and it will be searched directly on an encrypted version of Google Search. DDG comes with many built-in themes and appearance customization options to take full control over your search engine’s look. Click on the DDG main menu on the right and then click on “Advanced settings”. Here move to the “Theme” tab and you will see few light and dark themes to select from. These themes will change background color, text size and color, font type, search result color and few other visual components. If you didn’t like the provided themes, then you can always take full control of DDG appearance by moving to the “Appearance” tab. In the Appearance tab you can change font type/color/size, page width, background color, header color and behavior, results font type/color and even URL color. As for colors, you can choose any color from the spectrum. 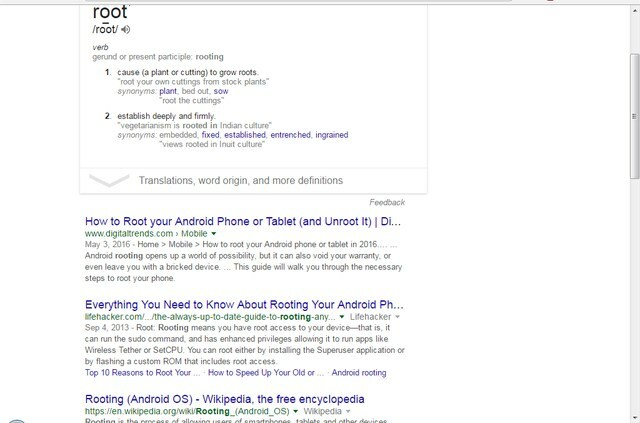 Google Search: It showed definition of “Root” of the plants, and then showed 9 results from technology information websites telling the process of rooting an Android, and 1 result from Wikipedia. 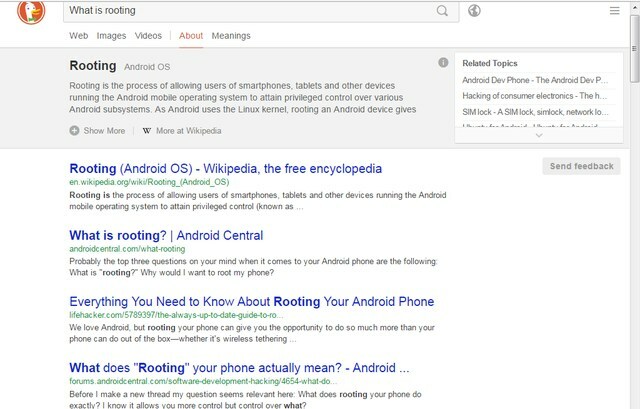 DuckDuckGo: It showed the definition of rooting an Android phone and most of its results were from Wikipedia, forums, a medical website, Dictionary and few technology information websites. This algorithm might not be good for a writer like me who depends on multiple relevant sources of information to dig deeper, but it can be good for an average internet user who quickly wants best answer to their query. If you search for something common that may belong to different categories, then it will show the best results along with all the categories where it may belong along with definition in that particular category. For example, if we search for “Race” it will list down all categories and uses of the word “Race” along with “Top most common uses”. For “Race” it shows categories like Classification (Human race), Competition (Racing competition), Entertainment (Race Movie), Technology (Race encoding), and few others. This feature will enable you to easily pinpoint what you meant and get the required details without changing your query. You can find alternatives to almost any type of app right inside the DDG interface. All you have to do is type “Alternatives for (App name)” and it will show all its alternatives. For example, type “Alternatives for Google Maps” will show all available alternatives like, HERE Maps, OsmAnd and Bing Maps, etc. This search is powered by the popular website “AlternativeTo” and shows both alternative platform and likeness. DuckDuckGo allows you to permanently save all your changes to the search engine settings in the cloud using a passphrase. This is really handy if you want to use your customized DDG on any other computer. All you have to do is click on the main menu and then access “Advanced settings” from it. Here you will see the “Cloud Save” option on the right, click on “Save Settings” in it. Now just provide the passphrase of your choice and click on “Save”. This will save your DDG settings to the cloud and identified by the passphrase provided by you. On any other computer, just go to Advanced settings again and click on “Load Settings” to restore them using the same passphrase. You can also save differently customized settings by using different passphrases. As DDG offers universal search results, sometimes it may not be able to provide what you actually need. In such situations, you can narrow the results down to a specific region to get results catered to that specific area. To do so, go to “Advanced settings” from the main menu and select the required region under the “General” tab. It doesn’t lists all the countries, but popular ones are there. DDG has a handy password generator that will let you generate hard to crack passwords of up to 64 characters. Just type “Password (number of characters)” and it will generate a random password. For example, type “Password 24” and you will see a 24 character long random password. Of course, it will be really hard to memorize it, so it is best to copy it and keep it somewhere safe, like a password manager. You can also generate passphrases that will consist of 4 words that will have no direct connection to them, making them easier to remember but hard to crack. For this, type “random passphrase” and hit Enter, you will see the four words to use as a password. DuckDuckGo has a built-in stopwatch right inside its search. Just type “stopwatch” and search for it and you will see it below the search box. With the stopwatch you can track total time and laps as well. Click on the “Start” button and use the “Lap” button to separate each lap. You can also quickly find rhyming words to any word right in the DDG search bar. For this, type “rhymes with (your word)” and hit enter. Here, “your word” could be any word that you could actually pronounce. DDG will show all the words that rhyme with your provided word and it also focuses on words that have a meaning similar to the word you have provided. This service is powered by the popular rhyming service RhymeBrain. You can also create ASCII Art of any word by typing “figlet (your word)” in the search bar and pressing enter. You will see the word as ASCII Art at the start of the results. You can also copy the art and paste in an editor to save it or share it online. However, it will only create ASCII Art of a single word, multiple words will be joined together to make a single word ASCII Art. 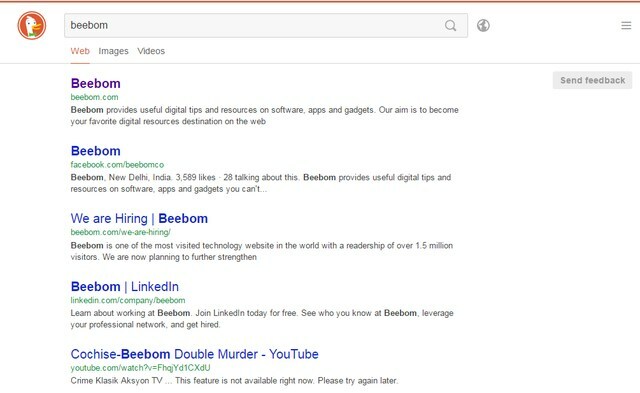 Just like Google search, DuckDuckGo also depends on ads for revenue. If you are not a big fan of ads, then DDG offers a simple option to allow you to disable ads (no need of an ad blocker). Go to “Advanced Settings” from the main menu and turn off “Advertisement” under the “General” tab. 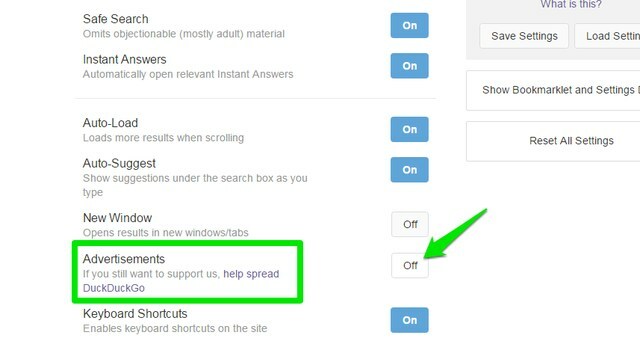 There is also an option to support DDG by spreading the word, which you should see if you want to support DDG but not with ads. 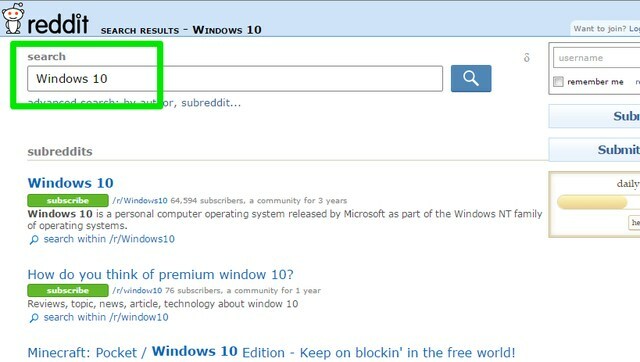 By default, Google search shows 10 results on a page (can customize to show 100 results) and you will have to click on the next page to see more results. 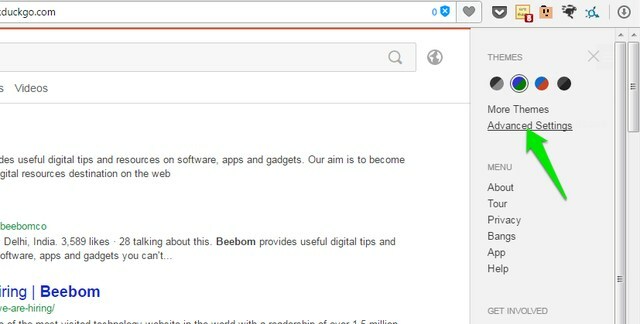 However, on DuckDuckGo you will see 30 results per page and the next page automatically loads when you reach the end. Most people don’t even move to the 2nd page of Google Search thinking nothing is relevant on the other pages, but in actual you can find many handy results on first few pages. DDG makes this easier by showing everything you need in a long list. Even if you don’t want to leave Google Search, you can still use DuckDuckGo with the help of its extension for Chrome, Firefox and Opera. DDG extension will let you search your query on DDG from the toolbar button and even take advantage of its instant answers feature right from it. The search results will open in DDG in a new tab. This will let you use both Google Search and DuckDuckGo when needed. We cannot directly compare Google Search with DuckDuckGo, as both serve a different purpose. 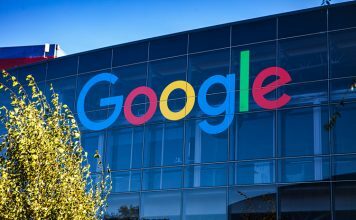 If you don’t mind giving up your information for better results, then Google Search should work fine for you. However, if you are concerned about your privacy and want to try something new, then DuckDuckGo is a good solution. There much more to DDG then these above 15 features, so do give it a try and let us know if you find something interesting.